For all these situations, we have the Gray Rock Method. Making a psychopath go away of his own volition is one application of the Gray Rock Method . One might say that Gray Rocking is a way of breaking up with a psychopath by using the old, “It’s not you, it’s me.” excuse, except that you act it out instead of saying it and the psychopath comes to that conclusion on his own. Another reason to use the Gray Rock Method is to avoid becoming a target in the first place. If you find yourself in the company of one or more narcissistic personalities — perhaps you work with them or they are members of your family — it’s important to avoid triggering their ENVY. By using Gray Rock, you fade into the background. It’s possible they won’t even remember having met you. If you have already inadvertently attracted their attention and they have already begun to focus in on you, you can still use Gray Rock. Tell them you are boring. Describe a boring life. Talk about the most mundane household chores you accomplished that day — in detail. Some people are naturally lacking in dramatic flair. Find those people and try to hang around them when the psychopath is nearby. If you must continue a relationship with a psychopath, Gray Rock Method can serve you as well. Parents sharing joint custody with a psychopathic ex-spouse can use Gray Rock when the ex-spouse tries to trigger their emotions. I acknowledge that any threat to the well-being of our children is overwhelmingly anxiety provoking. Here is where Gray Rock can be applied selectively to draw attention away from what really matters to you. In general, show no emotion to the offending behaviors or words. The psychopath will try different tactics to see which ones get a reaction. With Selective Gray Rock , you choose to respond to the tactic which matters least to you. This will focus the psychopath’s attention on that issue. Remember, the psychopath has no values, so he doesn’t understand what is valuable to us — unless we show him. Selective Gray Rock shows him a decoy. When protecting our children, we can take a lesson from nature: Bird parents who have fledglings are known to feign a broken wing when a predator is in the vicinity. They fake a vulnerability to detract the cat’s attention from their real vulnerability, their babies. In this example, Selective Gray Rock fades all emotions into the background except the ones you want the predator to see. A psychopath is easily bored. He or she needs constant stimulation to ward off boredom. It isn’t the type of boredom that normal people experience; it’s more like the French word, ennui which refers to an oppressive boredom or listlessness. Drama is a psychopath’s remedy for boredom. For drama, they need an audience and some players. Once the drama begins, they feel complete and alive again. They are empowered when pulling the strings that elicit our emotions. Any kind of emotions will do, as long as it is a response to their actions. The Gray Rock technique does come with a caveat: psychopaths are dangerous people, if you are in a relationship with one that has already decided to kill you, it will be difficult to change his mind. He may already be poisoning you or sabotaging your vehicle. Take all necessary precautions. In this case, the Gray Rock Method can only hope to buy time until you can make your escape. Why is it called Gray Rock Method? I chose the words Gray Rock Method because I needed an object for us to channel when we are in an emotionally charged situation. You don’t just practice the Gray Rock Method , you BECOME a Gray Rock. There are gray rocks and pebbles everywhere you go, but you never notice them. None of them attract your attention. You don’t remember any specific rock you saw today because they blend with the scenery. That is the type of boring that you want to channel when you are dealing with a psychopath. Your boring persona will camouflage you and the psychopath won’t even notice you were there. The stranger in the sushi bar showed great insight when he advised me to “be boring.” He struck at the heart of the psychopath’s motivation: to avoid boredom. In nature, there are many plants and creatures that show us how to survive in a world of predators. Among others, birds feign injury to protect their babies and mice play dead until the cat loses interest. Both of these tactics can be useful and they can be channeled when applicable. Yet, it’s difficult to calculate each and every move that a psychopath will make and to determine the best course of action each time. Instead of trying to out-think him, channel the Gray Rock Method. The simple, humble gray rock has all the wisdom it needs to avoid being noticed, it’s boring. If you still have questions about the Gray Rock Method, read The Gray Rock Method is a Mental Model. Opi, congratulation on finally escaping from the spath. Be aware though, that cog-diss can come back after a certain amount of time. I’m recently going through some of it myself as a remember my life with my ex-spath. It seems impossible that someone who is so sick, would not want to change, yet that’s the ultimate truth. It really helps that I spent some time with his friend, (a slightly less dangerous spath) and studied him. Though that study I was able to reinforce the fact that spaths don’t change, though they do pretend to. It doesn’t even matter if you tell them that you know they are spaths. They don’t care. Nothing less than a brain transplant will do the trick. thanks for the warning skylar. i’ve wondered if i might get some CD down the road. some news of him or running into someone he cheated with or whatever triggering it, or just a bad day. i found out recently he left the state, which was my fondest wish, and was surprised it actually brought up some pain. but when that happened i figured it was necessary removal of traces of the TB, so i just let myself feel it. i try to stay conscious of this stuff by staying on sites like yours because as i start feeling better, it’s easy to forget the emotional truths i learned. i also make it a habit to “target practice” on new spaths. now that i’m armed with knowledge, i’m finding many of them easy to spot and i do get a feeling of empowerment when i get that light going off in my head. not all of them are full-blown spaths, and i’m not kidding myself that i can spot them all, but a lot of behaviors i didn’t realize were part of the pattern, i can easily see now. walk away, do not feed the path! you are right, there is no “getting through” to them. my ex taught me that. not only do they not care, they aren’t capable of caring. thearrival, I’m sorry you experienced that abuse at the hands of your family. In my opinion, abuse from the FOO is even more painful and damaging than abuse from a significant other. Furthermore, the cog-diss from our continued association with the spathy family members can create irreparable harm. We have to reconcile our own behavior with the truth about why we keep going back for more abuse. The truth is, everyone wishes they had a loving family and it’s tempting to keep going back to figure out how to get it. Oxdrover is right, gray rock is not meant to be a way of life. It’s not meant to make life with a spath bearable. It’s meant to make the spath go away without ever suspecting that you were on to their need for drama. Where people fail is when they use gray rock in a defiant way, refusing to react when a reaction is warranted. If you suddenly start using a stony face, the spath is going to be able to tell what you’re doing. They will just ramp up the drama until you scream, “uncle”. The actual application of gray rock can take many forms. Sometimes it means that you laugh when the spath has tripped you up. Other times it means that you act dumb, as if you didn’t notice that the all points bulletin on the news was for a description of a car that matches your spath’s car exactly. It can mean that you talk incessantly — about the weather or the different styles of flip flops that are available at walmart right now. Gray rock doesn’t work if the spath doesn’t have any options for escaping the boredom that you create. Remember, boredom provokes anxiety in a spath and they will do whatever they can to escape it. So if they don’t have an outlet, they will attack the source of their anxiety. That’s why it’s so dangerous to try to stay with a spath while gray rocking them at the same time. The most important part of the article is the explanation about how and why it works. Understanding the spath mindset is key. Skylar pointed out that FOO abuse causes the greatest damage and I absolutely agree that family dysfunction creates a morass of emotional and behavioral issues that typically go, unchecked, through a person’s lifetime until such time as they hit rock bottom, on every level, or they continue pretending a acting out the role(s) that was assigned to them, early on. For my purposes, going full NO Contact is has been the only way that I have successfully rescued myself from remaining in very toxic and unhealthy relationships, and also from entering into potentially new and abusive situations. To do this with any measure of success, I chose to engage in strong counseling therapy with a trauma specialist. I am still learning, still rewiring my thinking, and paying very close attention to MY behaviors in relationship to others’ behaviors. For instance, I began to be aware of my aggression tendencies when I was faced with a potentially threatening or fearful situation. The aggression was a cover for fear, and I’ve been paying VERY close attention to this for the past 2 years. My FOO taught me that, if I appeared tough and aggressive, people MIGHT not approach me to harm me. Of course, this was a false perception and only caused me mountains of issues as my lifetime progressed with me carrying all of the childhood and adult baggage that I had accumulated over the years. “Gray Rock” works very well for me because I use it as a management technique for myself, rather than to manage spaths or toxic individuals. By that, I mean that I have learned to keep my mouth shut, play my cards close to my proverbial vest, and give NOTHING of myself away (like, personal history) unless (and, until) a person has EARNED my trust. Even then, I still am very private, now, whereas I used to believe that presenting myself as an open book was the “right thing to do.” I had never understood or accepted that “bad people” actually exist outside of prison walls, walk amongst us, and typically NEVER experience legal consequences for their actions. With regard to “Gray Rock” and going “No Contact,” without a doubt, NC is the best possible option – the further away from the manipulations and crazy-making behaviors I got, the better able I was to actually separate my emotions from the matters at hand, so to speak. This didn’t mean that I didn’t “feel” any emotions. I certainly did! But, the difference was that I did not apply MY emotions to a factual situation. I could process how I felt in a private and healthy manner instead of becoming unglued and melting down over someone else’s disorders. Separating the feelings from the facts takes practice, and this is how “Gray Rock” works without being something that the spath can actually USE. I’m not making myself boring or ignoring them as a result of my anger and frustration, anymore. I’m just accessing my empathy and compassion and turning them down to just about NIL so that the interaction is simply a matter of course without any emotional involvement from me. 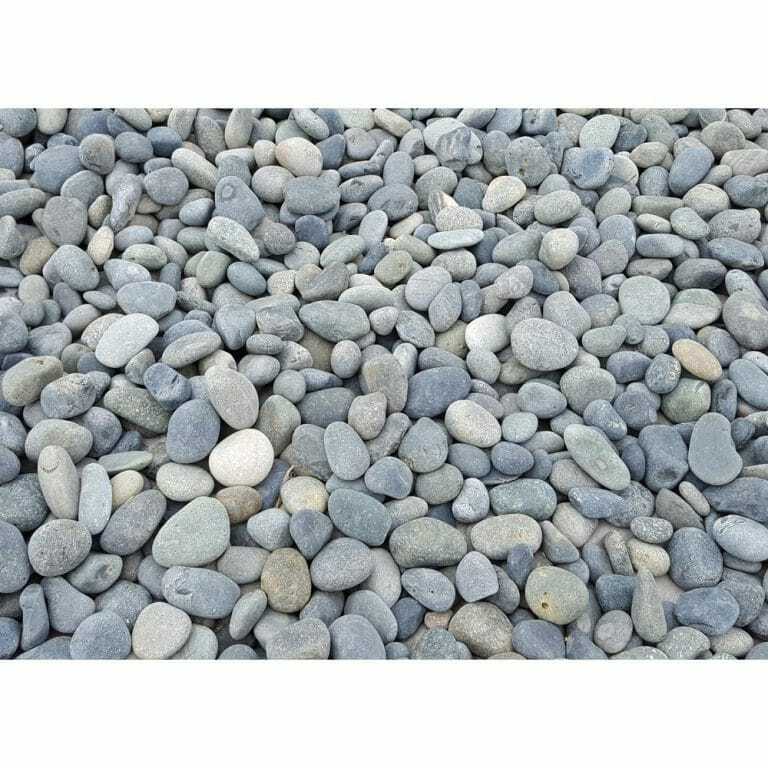 Some folks have attempted “Gray Rock” as a means to PUNISH the spath or as a passive means to display their anger, and this is where they ran into trouble. I’ve done the same thing, myself. THEN, I realized that “Gray Rock” is not about punishing or “getting back” at a spath. It’s simply a management tool for required interactions. NC is absolutely the best and healthiest way of coping with a spath. They do not care what harm they’ve caused, and the more they’re reminded about it, the more entertainment it is for them to watch people taking an emotional plunge down the rabbit hole. For them, the reaction to seeing a target reduced to tears or screaming fits is almost the same as experiencing a physical 0rgasm. Literally. They crave power, and seeing (hearing, or reading) results of their efforts to ruin is the closest thing that they will ever feel to being “okay.” To harm and know the results of that harm is an absolute rush.